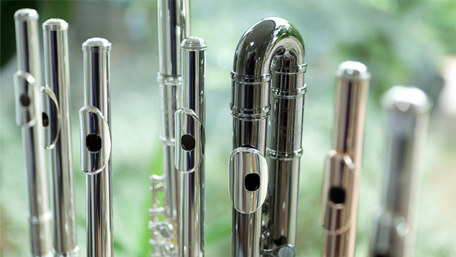 The London Myriad Ensemble return to Benslow Music with another instalment of their popular course designed specifically for pre-formed wind ensembles. Tutors work intensively with each group on a rotational basis to ensure a broad range of input on your chosen repertoire. The aim of this unique course is to capitalise on the way an established group functions, enabling in-depth exploration of the specific ensemble and rehearsal skills that working ensembles encounter. As always, the Myriads offer some optional extras on top of their committed coaching, also offering useful advice on rehearsal technique and performance issues as well as instrument specific advice where required. Applications are welcomed from any configuration of wind or wind and piano ensembles from trios to dectets. Due to popular demand, we are again offering an optional extra day for those groups who are interested in a longer course. If you have any specific requests relating to the rehearsal room that you are assigned for the course, please don't forget to mention this on booking.